Hellboy reboot pushed back, will now square off against Shazam! Neil Marshall’s R-rated Hellboy reboot was originally slated to hit theaters in January of 2019. Now, Collider reports that we’ll have to wait a few more months to see the “certain psycho dynamic” Stranger Things’ sheriff David Harbour will bring to the character made famous by Ron Perlman. Summit Entertainment says the movie will now arrive on April 12 of the same year. While this might be a bummer for fans, it’s not necessarily a sign of behind-the-scenes trouble. As Collider notes, January is often a “dumping ground for studio scraps,” while an April release date displays a vote of confidence from the studio. After all, the April 12 date means the movie will drop just a week after Warner Bros’ Shazam!, another high-profile, if decidedly sillier, superhero flick. 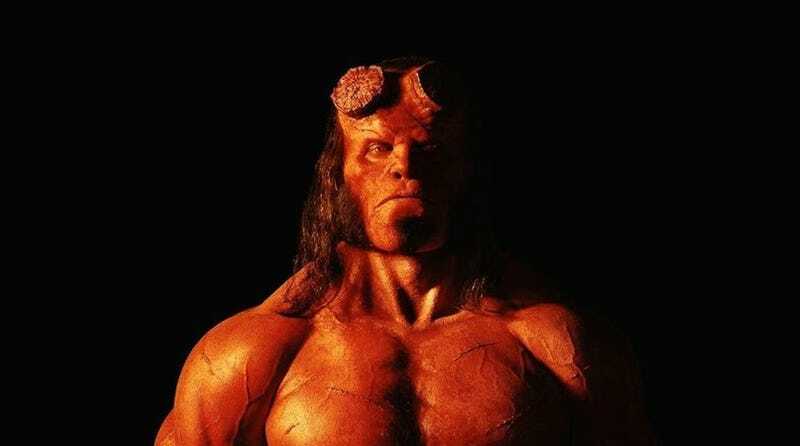 The reboot, which has received the blessings of both Ron Perlman and previous director Guillermo Del Toro, is said to be “darker” and “more gruesome” than Del Toro’s more fantastical stabs. Screenwriter Andrew Crosby says Marshall wants the movie to “walk a razor’s edge between horror and comic book movie,” which, when you consider we’re talking about the director of The Descent here, sounds like a very good thing.